‘The best posture is the next posture’ Peter Opsvik. 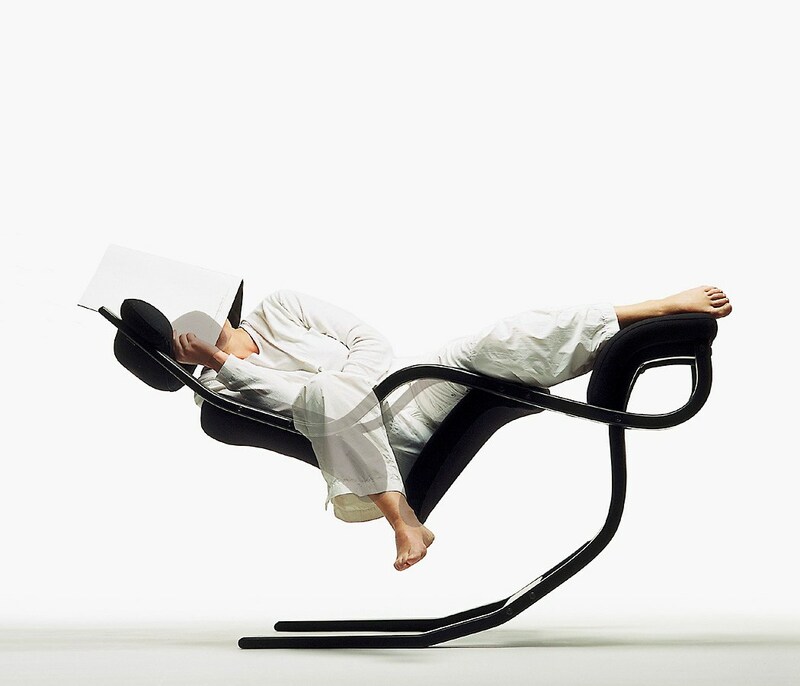 What Opsvik, father of ergonomic furniture design is saying, is that movement is more important than static ‘posture’. I would go further in fact & say the that the very word ‘posture’ is problematic. The root of the word is the latin verb ‘ponere’ which mean ‘to place’ a rather artificial, superficial approach to good use of the design of the human structure. So if you are ‘trying’ to have good posture you are missing the point! It should be easy & effortless! (see Doctor Posture). 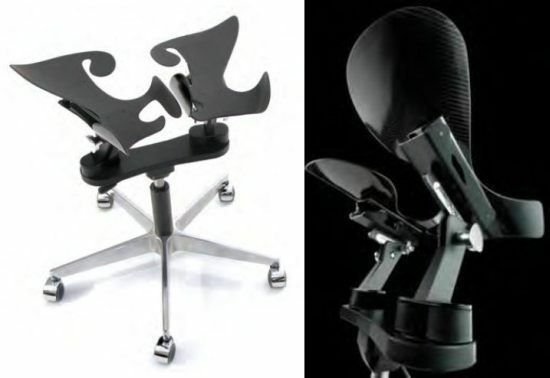 There are a mind boggling number of office chairs on the market. How do you choose what’s right for you? There are so many variables at work here, not least budgetary constraints. Prices vary from a few hundred to a few thousand pounds, but you won’t get a well designed ergonomic chair for less than £5-600 plus extra for head rests, upholstery etc. There are a number of other variables to be considered too. Desk height is fundamental, as are the height & proportions of the user. A perfectly fitted chair has to deliver the user to the desk with shoulders relaxed & head balanced on top of a vertically oriented spine. Easy isn’t it! 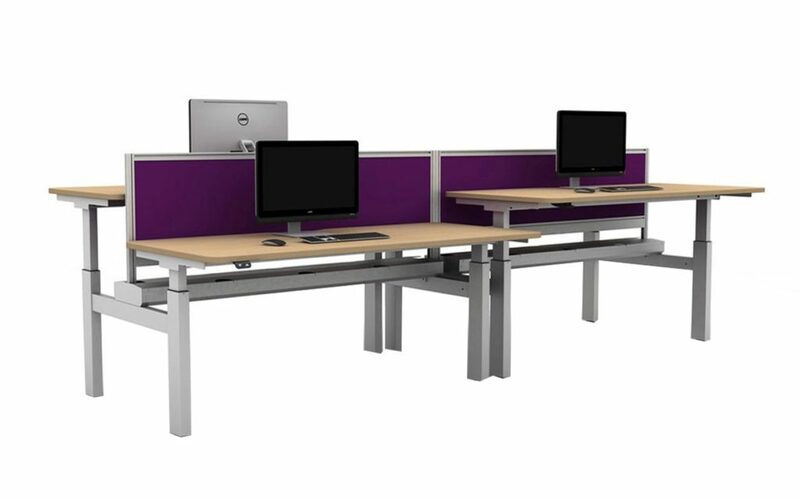 Height adjustable/sit-stand desking has been around for some years but it is only recently coming into the mainstream in the UK as big corporates have finally taken on the general consensus that fixed height desking belongs to yesterday. It’s so 20th Century but it’s only when leases are up that companies move into new premises & do a new fit-out of office furniture & get upto date with the times..Rows of fixed height desking came into vogue after the people who did time & motion studies in factories re-arranging industrial production for productivity in the 1920’s & 30’s turned their attention to the office environment, Unfortunately the uniform mass production concept doesn’t really work in the office because people come in all different shapes & sizes. An adjustable height desk is a game-changer. Suddenly you are not having to fit yourself into the furniture but taller people can sit at higher desks, shorter people at lower desks etc, instantly reducing neck & shoulder tension. If you don’t have a height adjustable desk option then measure your desk height & pop along to your local ergonomic furniture showroom (Back in Action have 4 branches; www.backinaction.co.uk). They will set up a desk of that height & find the best solution under the circumstances. Also there are some devices on the market which can give you the standing option without the necessity of buying a height adjustable desk, for instance the portable (humbleworks.co) products, designed with millenials in mind as they hot desk in places like Wework. Taking of devices there is a rash of products being marketing on Facebook at the moment such as the ‘Posture Corrector’ or ‘Posture Shirts” Now I want you to do an experiment. Try pulling your shoulders back right now & tell me if that improves your spinal alignment, your head carriage or your ‘posture’ I think it does the opposite! Pulling your shoulders back just adds a new tension to the existing tension that is preventing you from being effortlessly upright in the first place. Similar devices which sound an alert when you slouch are better, because they are training you to be aware & then you can lift yourself up. There still ain’t no such thing as a free lunch! Despite height adjustable desking there is still an issue to be addressed with keyboard & screen angles/heights. The keyboard needs to be at relaxed elbow height & the screen needs to be at eye level, so a laptop on a height adjustable desk may still not be quite right. A separate keyboard is very helpful, although there are laptop stands on the market which can help to a degree. A new product on the UK market just in from the US is the LeanRite sit stand chair which gives you options for sitting, perching & leaning.